Every year at around this time, we start getting calls from homeowners all over the local area who need help with their home's furnace. From sudden breakdowns, to minor malfunctions, and even furnaces that need to be replaced entirely, we see it all, and we tend to see it more and more often as we get further into winter. While some of these issues are unavoidable and just the result of age or something beyond control, there are a number of issues that spring up during the winter months that could have been easily prevented with the right preventative care. Getting an annual tune up for your home's furnace is one of the most important things you can do for it, and helps to ensure your furnace is able to continue functioning effectively and efficiently year after year, but there are many homeowners out there who just don't recognize crucial this annual service really is. 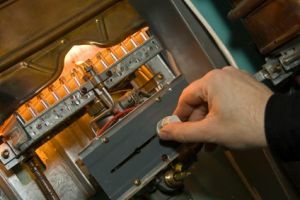 To help shed some light on the importance of annual furnace tune ups, our team of professionals at Mobley Heating And Air have taken the time to put together this short list that helps to detail some of the benefits you stand to gain, and some of the problems you stand to avoid by getting a yearly tune-up for your home's furnace. During the course of your annual furnace tune up, our team of professionals will ensure that your furnace is receiving the proper airflow it needs to operate safely. If the airflow to your system is obstructed or being choked off in some way, it can put a great deal of unnecessary strain on your system. Not only will this strain cause your furnace to burn through fuel at a faster rate than it usually would, it can also result in the need for more frequent furnace repairs and shorten the life of your heating system overall. As you know, in order to produce heat for your home, your furnace uses a small combustion process. Since a combustion process require fuel, it is imperative that that process is precise and controlled in order to guarantee the efficient working of your system and your safety. It doesn't take a very large issue to cause fuel to start leaking into your home, or for dangerous carbon monoxide gas to start being released into the air of your home. Investing in an annual furnace tune up will ensure that your unit is operating safely and there are no leaks that could pose a danger to you and your family this winter. When it comes to the safety of you and your family, you should never take chances, and with an annual furnace tune up from an experienced heating contractor, you can get the peace of mind you need to rest easy all winter long. In addition to ensuring your system is operating safely, an annual furnace tune up will also make sure that your system is cleaned out and that everything is functioning like it should. This will help to keep your system running efficiently all winter long, and when your system is operating efficiently, it means that your system won't be burning through fuel as fast as it would otherwise. This can go a long way in helping you to save money this holiday season on your monthly energy bills, which is something every homeowner could use. 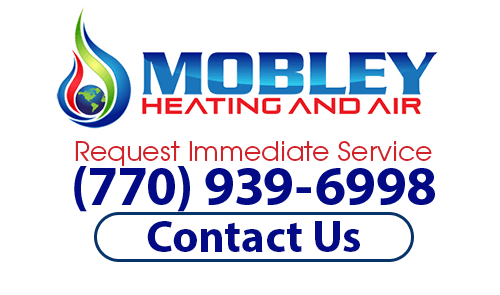 If you are looking for professional furnace tune-up services, then please call our heating contractors at (770) 939-6998 or complete our online request form. I am a little late giving my review but better late than never. I needed a brand new Heating and Air Heat pump. I did several estimates and Mobley Heating and Air had the better price. Reggie are Adam are very professional and courteous. They provide fast and prompt service. The fixed what needed to fixed. No games. I highly recommend them for your service. If you are looking for a company that is dependable and reliable as well know what they are doing . Please stop right here and use Mobley Heating and air. I've been using them for at least 3-4 years . From the first visit when my A/C unit went out in the summer when its was ridiculously HOT so was back to COOL In no time. Reggie and Adam just recently helped me to figure out what was wrong with the circulation with downstairs vents only to find out a board needed replaced and now my house is the perfect place to be as the summer is near again. Lastly, a huge thanks for helping to ensure my unit didn't slide off the heel and leveling it so I don't have to worry about that going forward. Again, thank you Mobley Heating and Air! I look for to continually using your service as years to come.